Dubai with its dominating skyline and desert mysteries is somewhere that’s been on my radar for years. As a city known for its excessive wealth, glitz and the world’s biggest, greatest and grandest everything, it well and truly lived up to its reputation. Whether or not that’s a good thing depends on personal preference. For some, myself included, Dubai is a little overwhelmingly flashy. For others that’s what fascinates them, this seemingly perfect world of everything the heart desires all crammed into one mall. What that means thought is that if you visit and don’t want to spend your time inside a mall, you need to seek alternate activities and…there’s plenty of them to keep you occupied! In fact, I wish I had a LOT more time to get beneath the shimmering surface to see the other side of Dubai a little more. Because I didn’t, below in the guide you’ll find location tips from local photographer David Benson who shares some photogenic spots alongside my tips. From the desert and dunes to the sea and skyscrapers, this is my pick of where to go in Dubai to capture beautiful images. “I can show you the world…magic, mystery, wonderssss”, you’ll be humming the Aladdin soundtrack as you float over dunes west of Dubai. If you’re not a Disney geek you’ll still have fun too, I guess. This experience is really hard to beat in Dubai, it’s simply breathtaking. Despite the early rise, heading out to the desert to float at 4000ft above the sand dunes in a basket is crazy cool. 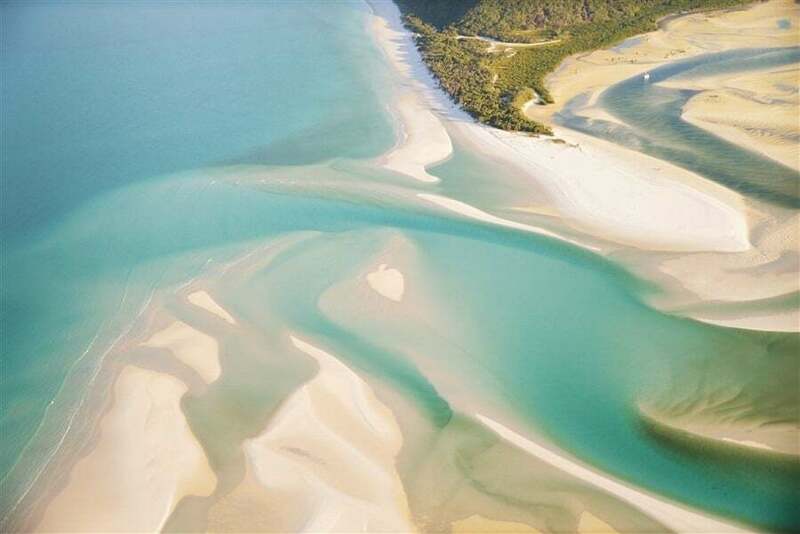 For those who love the patterns and formations of nature, you’ll be photographing non-stop as you peer over the basket to endless landscapes of sandy goodness. Keep your eyes peeled for camels and gazelle that wander beneath creating photo opportunities that blend landscape photography and wildlife. The patterns of the dunes from so high up really allow you to creatively work with nature to capture a shot that showcases the beauty of this region. 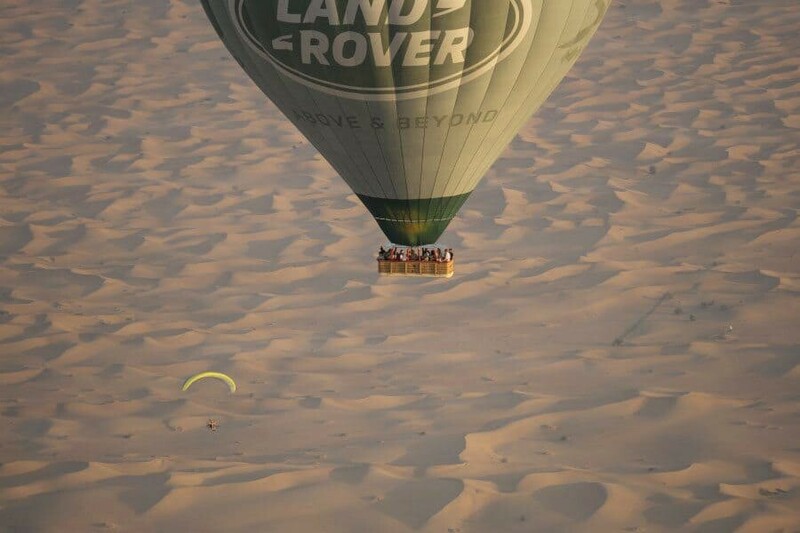 Contact Ballooning.ae for booking details, their sunrise experience also includes breakfast in a luxury desert camp and a vintage jeep dune ride. Keep your eyes peeled for my guide on how to prepare for photographing from a hot air balloon, or take a peek at my article ‘Aerial Photography: Hot Air Ballooning in Dubai‘. 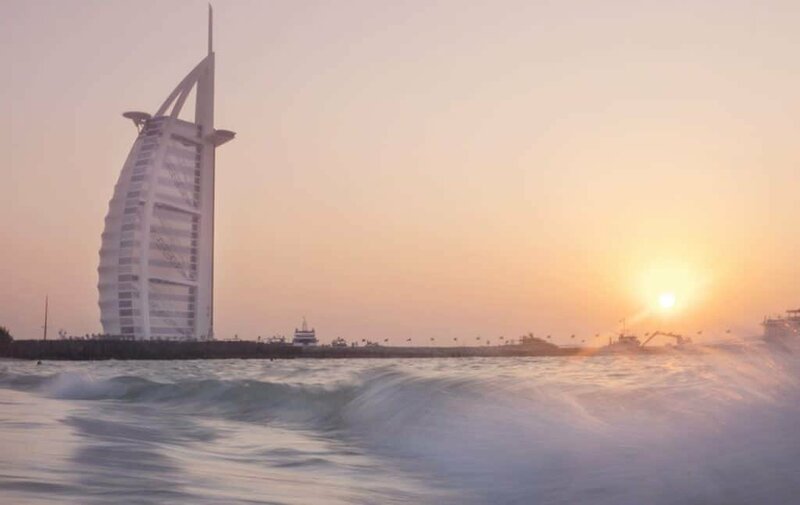 This is the place to be to capture the impressive Burj al Arab as the sea and sun meet on the horizon. It’s that image a lot of people come to Dubai to capture, an iconic scene worth putting your own twist on. With the waves of the Persian Gulf gently lapping the shoreline it’s a great opportunity to capture slow shutter shots of moving water as it washes on and off the sand. 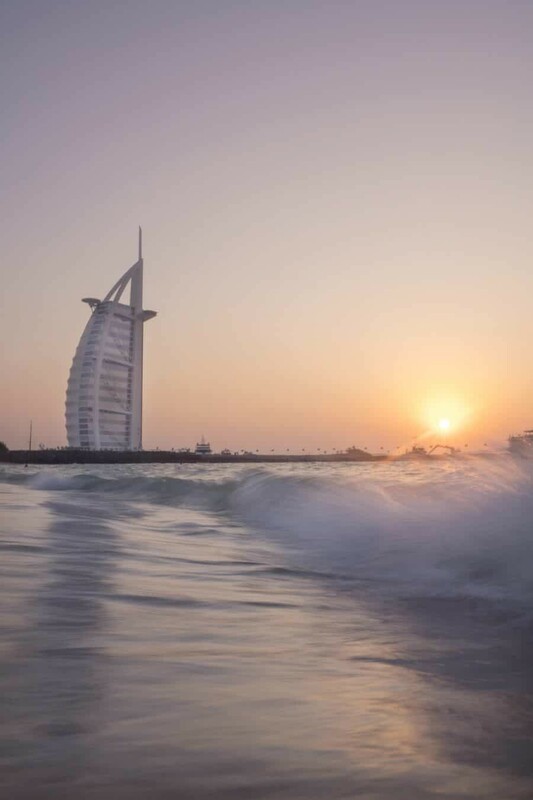 You’ll find a wonderful mix of tourists and locals on the beach cooling down at the end of a hot day but when it comes to photography, legally it’s best to focus on the Burj and sea. It’s against local law to photograph someone who is unaware they’re being photographed so to keep out of any unwanted trouble, stick to beach shots. 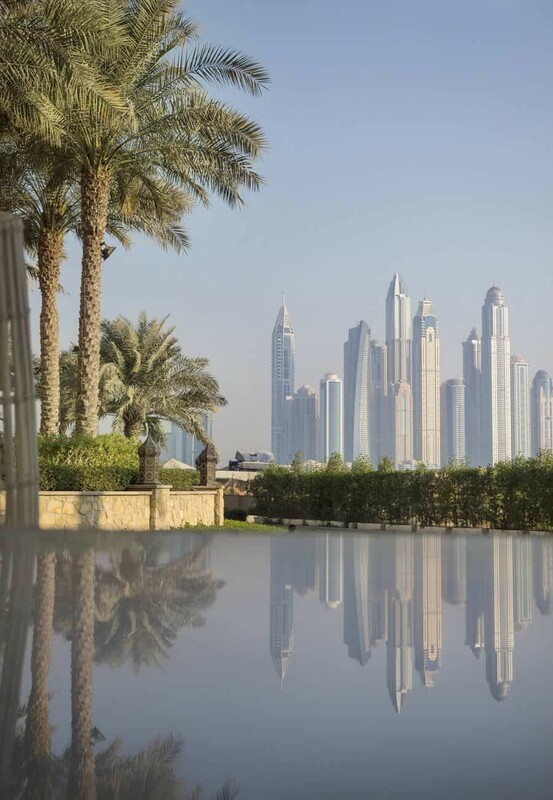 If you’re looking to photograph the Dubai skyline from the water, this spot is perhaps the best of them all. While you don’t have the Burj Khalifa, you do have the impressive skyscrapers of Dubai Marina looking a little like a Star Wars scene in the distance. For most of the hotels on The Palm you will need to be either staying there or request a day pass to access the beaches. It’s totally worth it though for views like this! 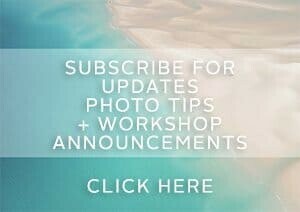 Especially if your a water photo addict like me. At the Fairmont there’s also a series of outdoor cabanas with beautiful views and palms to frame the skyscrapers…works wonders for composition! Now if you’re more of a mountains person this place might not be for you but…it’s mighty impressive regardless! Standing at almost one kilometer high, the Burj Khalifa is the world’s highest building. Stepping out from within the Dubai Mall, tilt your head back and be amazed by the seemingly endless rise of this pin like structure. I thought it would be tall but with struggling long distance vision, the top was nearly completely out of sight for me! It’s actually hard to grasp a measurement as to just how high it is while standing beneath because it’s hard to count windows and width when they are nearly 500m away! Each night the fountains dance beneath for up to 5minutes from 6pm then every half hour until 11pm. There’s also two shows at 1pm and 1:30pm during the day (1:30pm and 2pm on Friday). 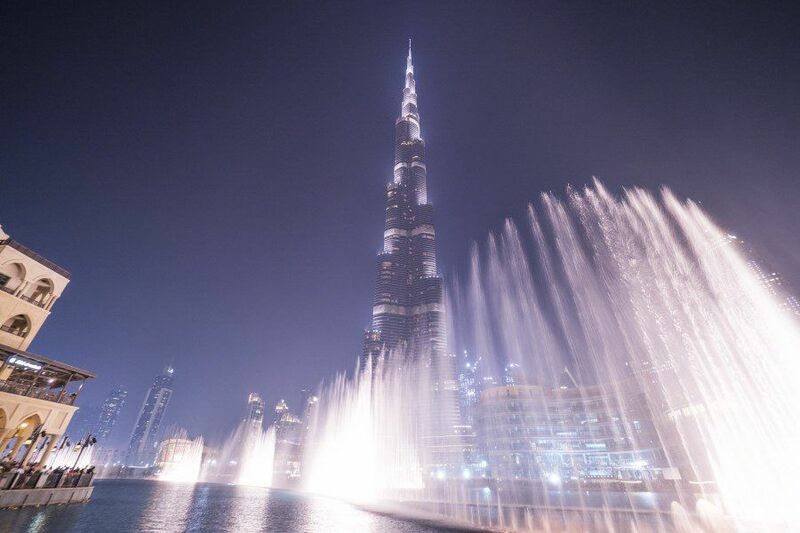 To watch the fountain show be sure to venture out to Souk Al Bahar Bridge for uninterrupted views of the Burj Khalifa and the mesmerizing fountain display. Just arrive a little earlier so you get a good spot! The best way to measure the size!? Get up on it! You can catch a lift to the very top of the Burj Khalifa and experience Dubai from above, all of it. From the top the city appears like a toy village, where roads and skyscrapers become like minature pieces of a puzzle. 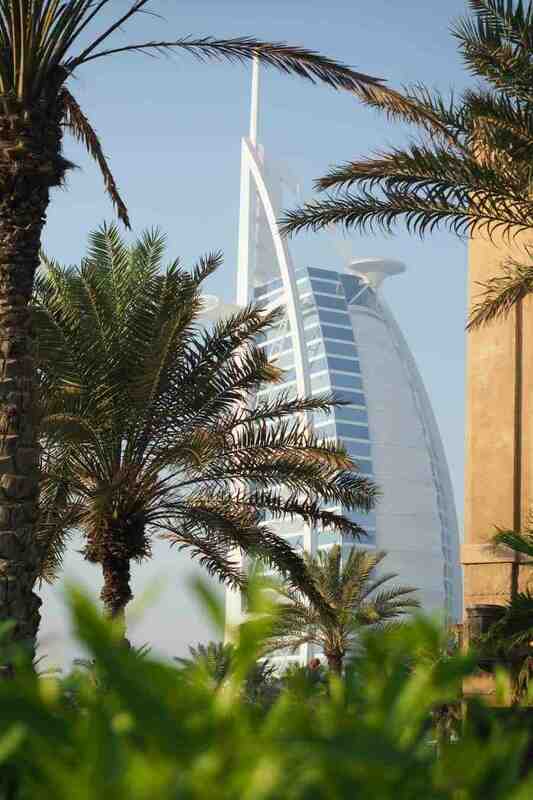 For an alternate view of the Burj al Arab, head for the Madinat Jumeriah. Known as one of the most beautiful hotels in Dubai, you’ll find canals lined with Arabian styled buildings, palms and of course the magnificent Burj al Arab as the backdrop. While you can only meander so far if you’re not staying at the hotel, personally I feel that’s enough to capture some great shots then move alone. 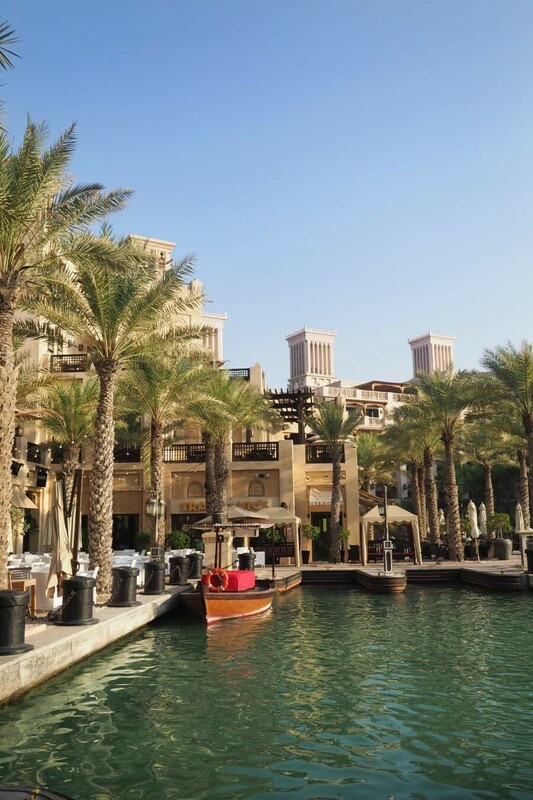 There’s a great photo opportunity at the entrance of the Madinat Jumeriah Souk, otherwise, wander thorough the souk until you find the waterside restaurants then weave your way around. 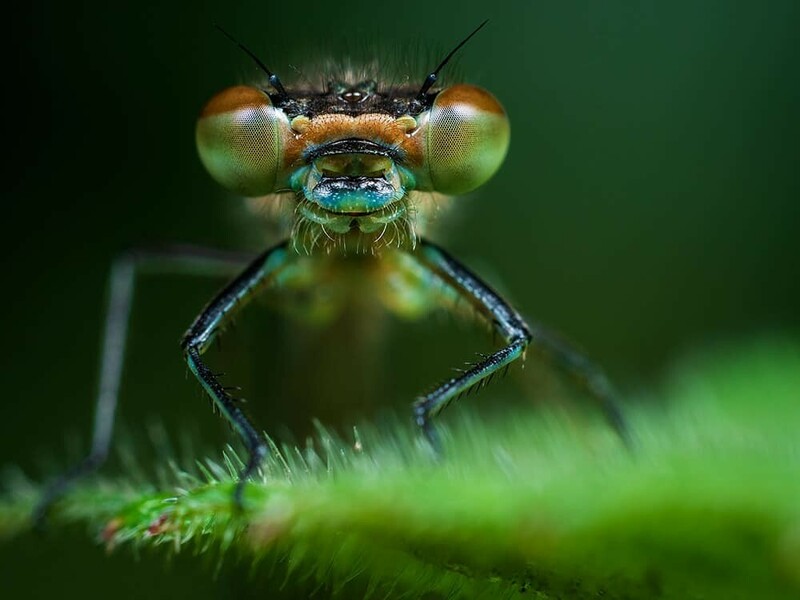 Professional photographer David Benson is the man behind @goexplore.ae and a resident of Dubai. With his extensive knowledge of photography locations around the UAE, David operates photo tours and customised itineraries for travellers. 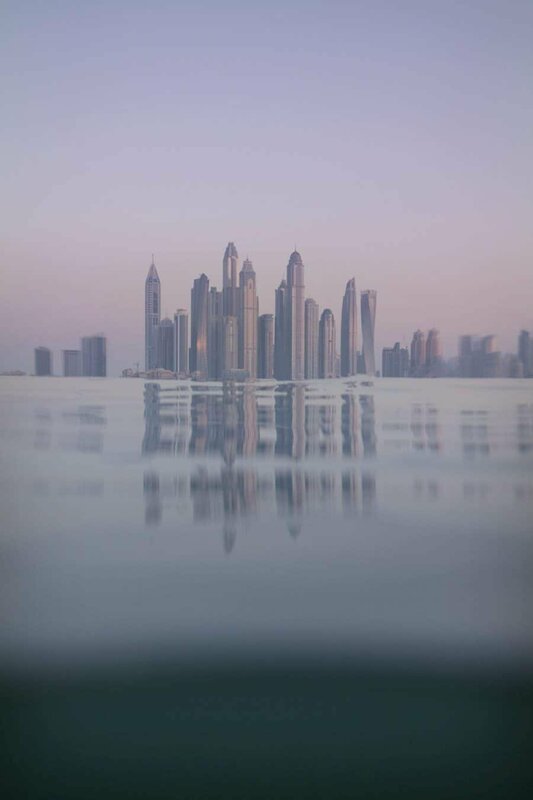 Having lived in Dubai for almost 6 years, David is passionate about sharing where people can see the other side of the city, the side where dunes blend with the sky, far away from the glitz and glam of Sheikh Zayed Road. 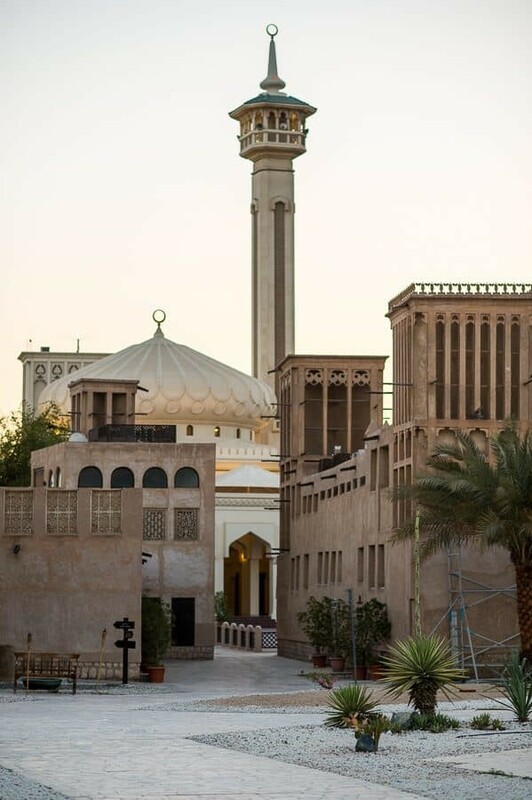 This neighbourhood in Bur Dubai is not to be missed. It lies on Dubai Creek and is one of the oldest neighbourhoods in Dubai, harking back to the old pearl diving and trading days. It’s now home to Dubai’s growing arts scene, coffee museum and must-stay XVA Hotel. Traditional architecture, narrow side streets and mosques provide numerous photo opportunities. Accessible on the hop-on-hop-off bus tours the circle the city, near Dubai Museum and Fahidi Fort, otherwise I strongly recommend jumping on a 1 AED ($0.37 US) Abra from the Spice Souk in Deira, across the Dubai Creek. 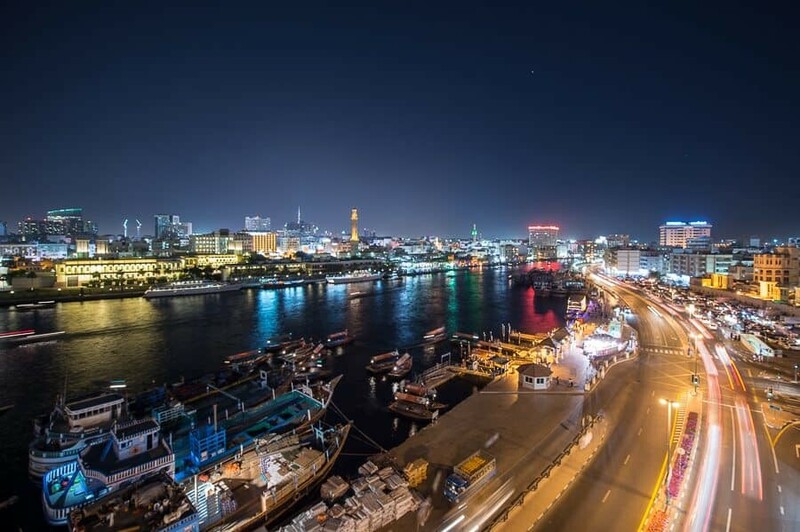 Like Bastakiya, the Dubai Creek provides a small insight in to the life of ‘real Dubai’. For many, the small Abra’s that sail up and down the creek, are their means of transport to and from work each day. If you want one for yourself, it’s easy to barter a good deal (expect to pay no more than 50 AED) for a tour up and down the creek. Head down before sunset to explore the Spice Souk on the Deira side of the Creek, and Textile Souk on the Bur Dubai side. Photo highlights include the colourful spices and characters in the Spice Souk (always ask permission before photographing anyone, and avoid photographing ladies), the Abra’s, plus the large Dhows lining the Deira creekside being loaded up with everything from tyres, refrigerators and cars, before setting sail to Africa, India and Pakistan. I bet you didn’t realise Dubai had Flamingo’s! 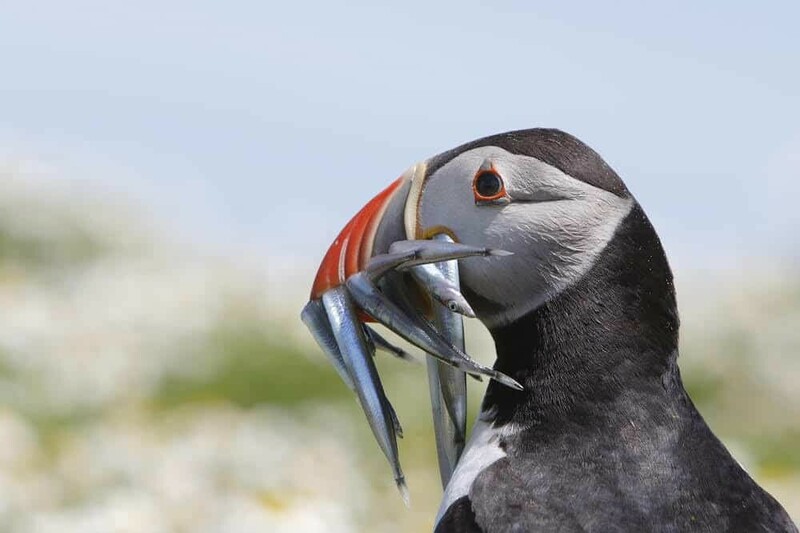 You’re probably thinking they’re imported, and not native birds. Well, these Flamingo’s call Dubai, and a few other spots throughout the UAE, home during the winter months (October – April). 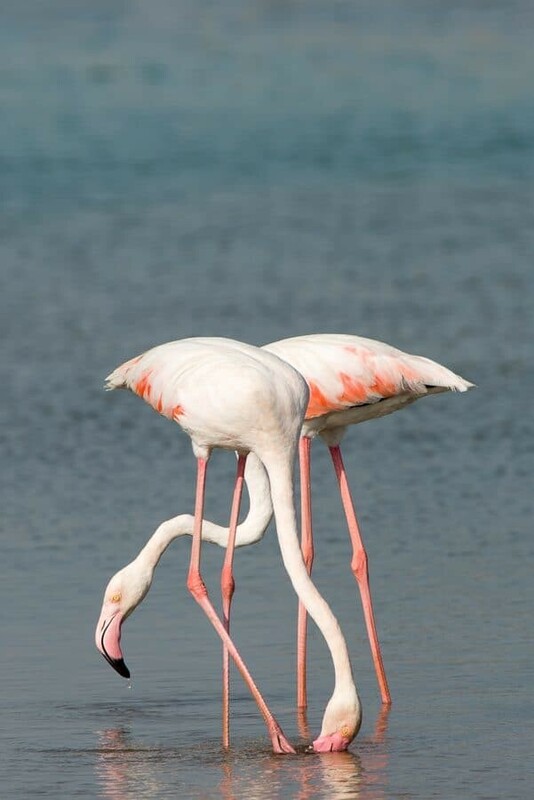 You can see thousands of these migratory birds in the wetland nature reserve of Ras Al Khor. What makes this spot so special is the proximity to Downtown Dubai, the numerous skyscrapers and main road networks. You can visit a few hides around the reserve between Saturday and Thursday (closed on Friday’s) between 09:00-16:00. The view across the reserve from Ras Al Khor road, especially around sunrise and sunset offer spectacular skyline views with the wetland reserve in the foreground. Expect to photograph through the fence. Full disclosure – these lakes are manmade. 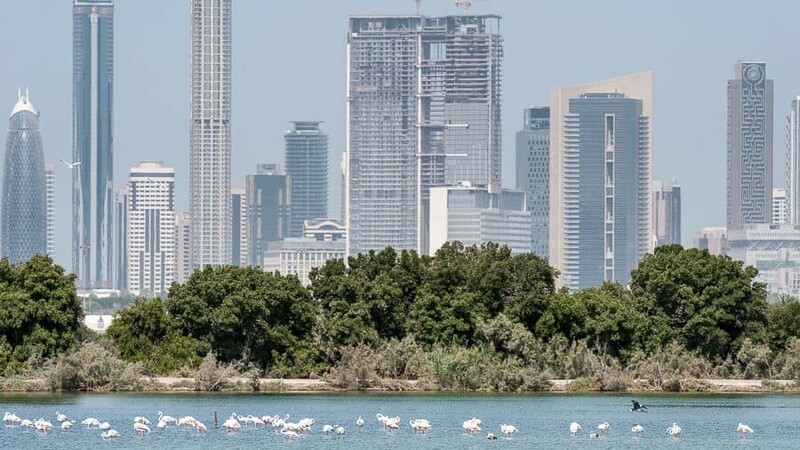 Unlike Ras Al Khor, Al Qudra Lakes were built back in 2010-2012 as a habitat for both migratory and introduced birds. 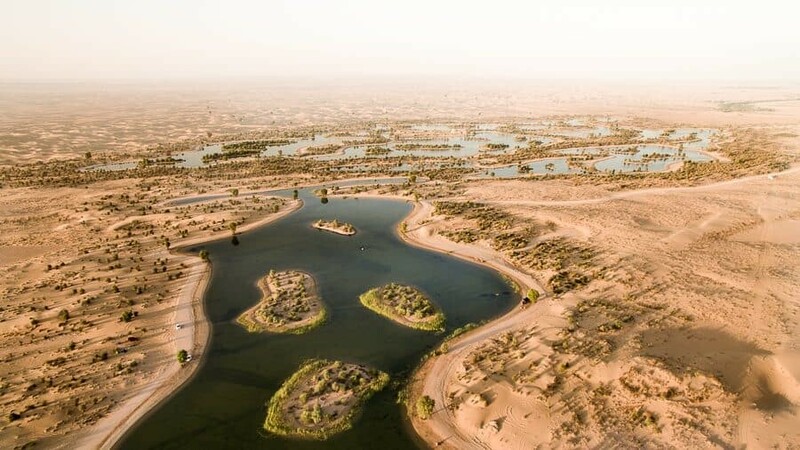 A shimmering oasis, in the heart of the desert, just 40 minutes drive from Downtown Dubai, these lakes offer a wonderful spot for walking, bird watching, and a spot of camping during the winter. They do get busy during the weekends, however they cover 10 hectares, so you should be able to find some peace and quiet. A fantastic spot for sunrise or sunset. 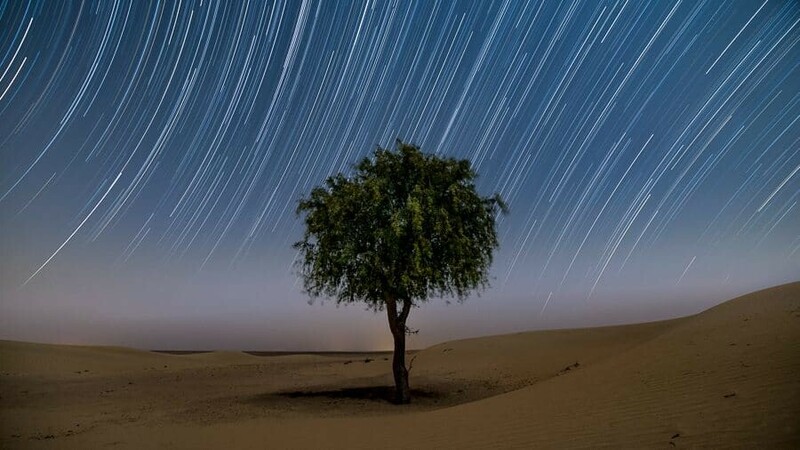 Also a stones throw away from some of the darkest skies in Dubai (Note: Never head in to the desert alone and without food, water and experience of driving on sand). Check out David’s website (GoExplore.ae) for more info on his tours if you’re visiting Dubai or the UAE soon. 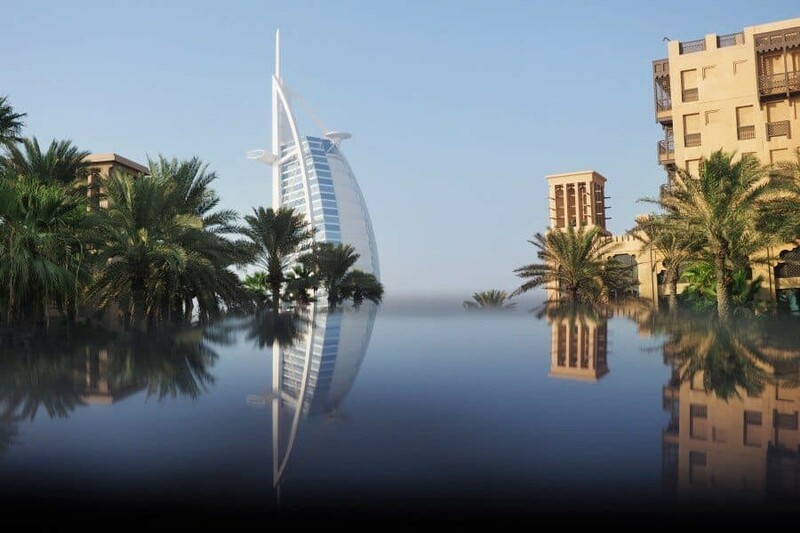 Have you been to Dubai and have somewhere to include in this list? Feel free to comment below telling everyone where you think is photogenic or a great experience in Dubai! 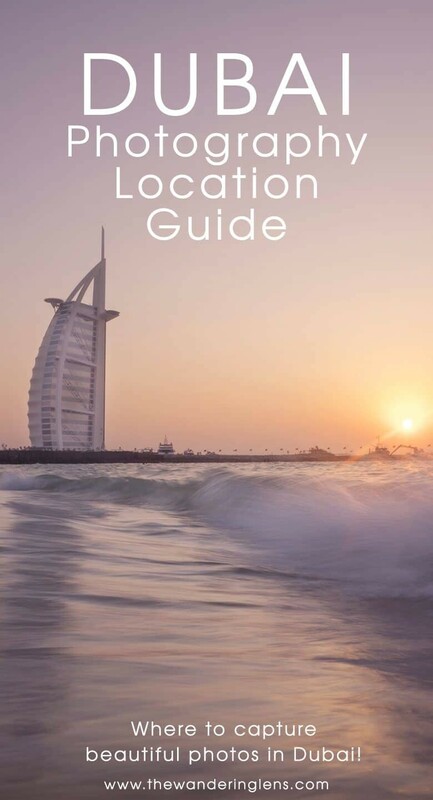 Of course this isn’t a definitive guide to the best locations in Dubai, it’s simply a collection of places I personally loved during my trip and that are recommended by locals. 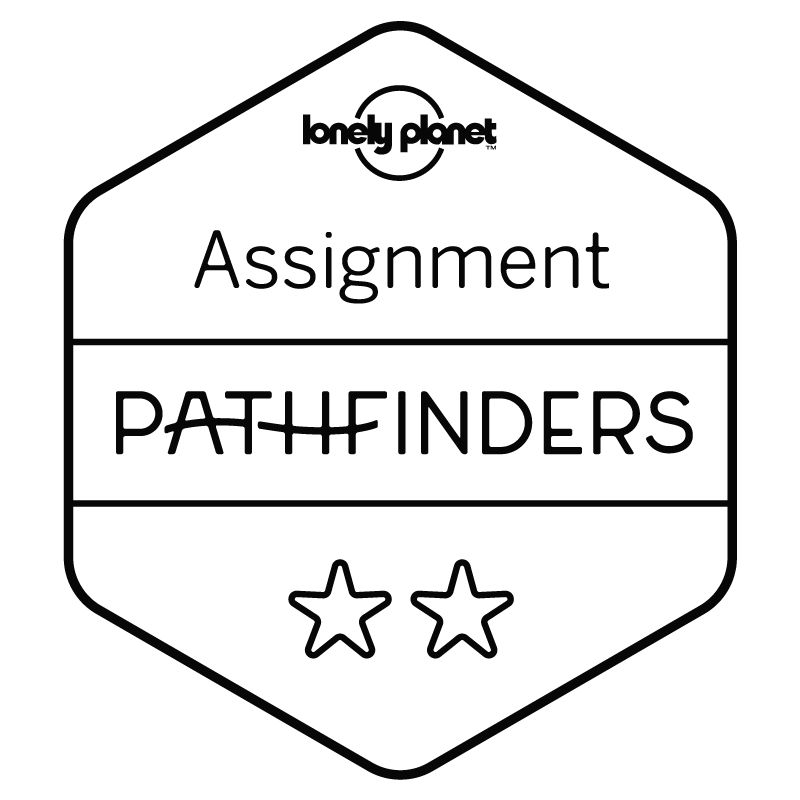 Feel free to explore on your own to see what special spots you can find. The map below pin points each Dubai photography location mentioned in the guide above. You’re welcome to open the map in Google Maps and it’ll allow you to follow along during your travels and hopefully help you minimise time working out where everything is so you can head straight there and take photos! <blockquote><strong>Read more:</strong> For more photography location guides to other cities and regions around the world, click through to the <a href=”https://www.thewanderinglens.com/category/photography/photography_destination_guides/” target=”_blank” rel=”noopener”><strong>’Destination Guides'</strong></a> section. Thanks for your location tips. Great post. incredible information that I can’t find elsewhere. Keep up the good wwork my man! The locations are great and I’d love to come there! Thanks for your information! Hi, I m planning to propose in Dubai, I ll have a professional photographer where you recommend will be a good place? Hello. I am photographer from the US and will be visiting Dubai September 16-20, 2019. I am trying to find someone (preferably a photographer) who can help me with getting to the locations I would like to take pictures from. I am putting together a photo guide of the places I would like to shoot from and am wondering if you or if you know of someone who can put together a private tour of sorts to help me. Thanks for your assistance. Exciting to hear you’ll be visiting Dubai this year Floyd. 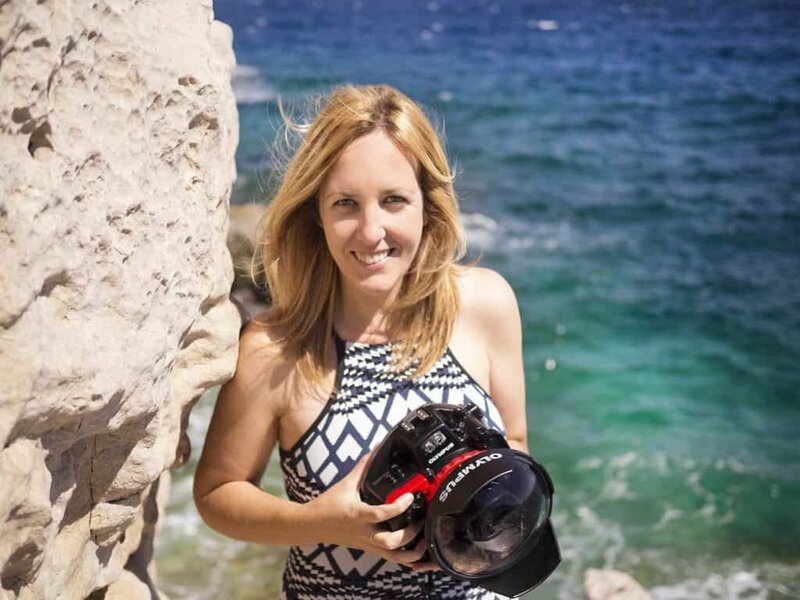 It’s probably best to contact your hotel as they may be able to recommend a driver or local photographer that can travel around with you to any places you have on your list.